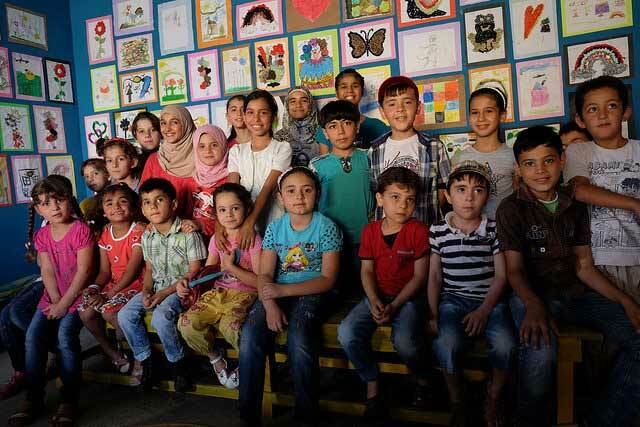 Education is one of the key challenges for the Syrian refugees living in Turkey. Since the war began in 2011, 3 million refugees have come to Turkey. Half of them are children. Initially, those who could afford it sent their children to Syrian-curriculum private schools. Now it’s possible for their children to go to Turkish schools. “Back in Syria, education was the most important thing. Everyone was really motivated to push their children,” said Marwan*, a headmaster in one of four Caritas supported schools in Istanbul. At the beginning, his school charged 50 lira for each student. They had about 200 students, less than a third full. “Now with Caritas providing the rent, expenses and salaries, the school is free and we have 700 students with a long waiting list,” he said. “The reality is that most children don’t go to school,” he said. Literacy in Syria before the war was 99 percent. Now among Syrian refugees in Turkey it is 46 percent. “The children must work to make ends meet for their families,” he said. 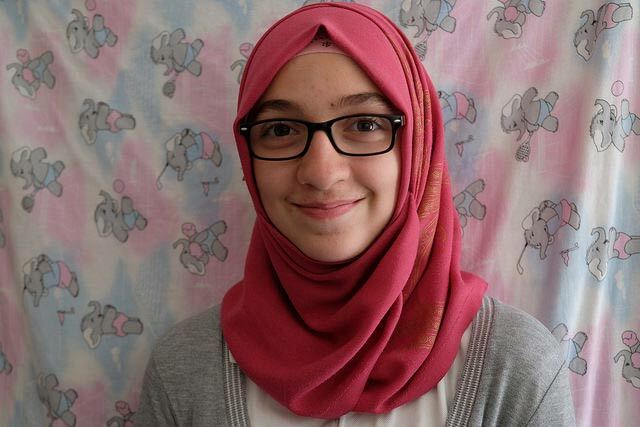 Amira* is a teacher at the school is a Syrian refugee who fled Aleppo in 2011. Salaries are set by UNHCR at 900 Turkish Lira a month (270 Euros). Her rent and expenses for her husband and two children come to double that. Her father is dead. She lives with her mother, who suffers from depression, and her two elderly grandparents. Mohammed Malidini, 78 years old, and Amina, 65 years old, fled with their family in 2013 from the besieged Syrian city of Aleppo. “Our ten sons and daughters are scattered all over the world,” said Amina. “My wish is that the family will be together again.” Mohammed is partially blind and deaf. Both need medical treatment. Most of the Syrian refugees in Turkey live in rented places. They are small, badly maintained and uncomfortable, with scores of people to a room. Paying rent is a huge problem. Caritas reaches out to them through home visits. Caritas helped about 40,000 people in 2015. Selen* is a Caritas staff who also works part time for fashion companies in Istanbul. “The juxtaposition between going to a house where people struggle to pay 300 Turkish lira a month rent and being offered half price perfume at 300 Turkish lira a bottle is quite striking,” she said. Giving the Syrian refugees something to hope for is a key. Abeer is a young mother who fled with her family from Aleppo. “The city was beautiful. Life was perfect there. Now, it is like hell,” she said. They sold everything to come to Turkey. “When we arrived, we felt free, we felt safe. In Aleppo, I couldn’t cook or clean. For my daughter, there was no future in Aleppo,” she said. Since the start of the year Syrians have been allowed to work legally in Turkey, but the language barrier is a big obstacle. Not just for finding a job, but for navigating the hospital and school bureaucracy and for socialising. 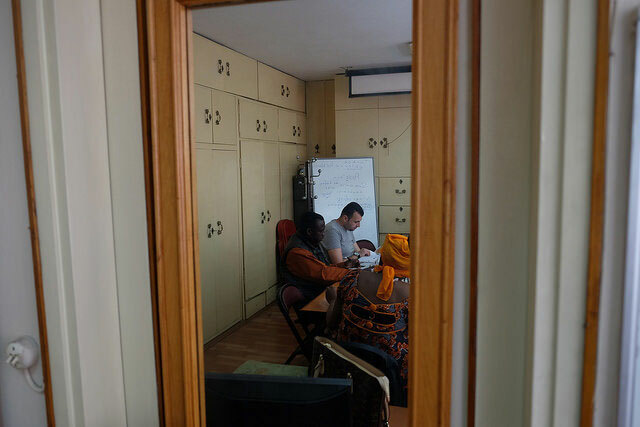 Caritas has organised women’s groups in Istanbul and Hatay. Language lessons are on offer, alongside counselling and sharing information on rights, schools and health. 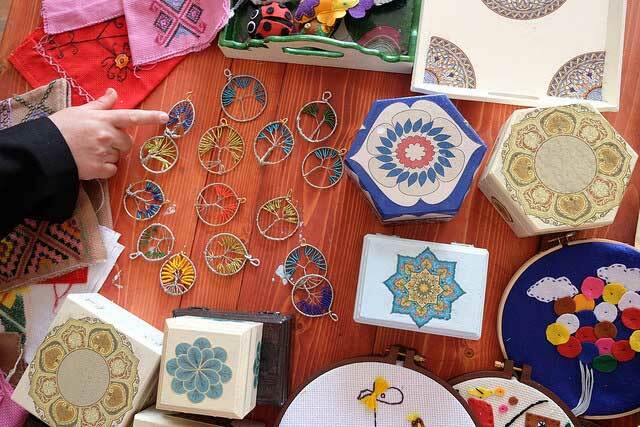 They learn skills like handicrafts and sell what they produce. Then there are seminars once a month at the women’s group on different topics such as self-defence or how to check for breast cancer. The yoga and dance classes are the most popular. In tandem with the women’s group are Child Friendly Centres. Caritas provides a space for children to play, do art, make friends and even garden. It’s a welcome respite from their homes, which might have four families crowded into a tiny room. The mothers say the change in their children is remarkable. They have their childhood back. But always in the background is Syria.